Hisashi Iwakuma headlines the group of 22 players not on the Mariners' 40-man roster, who were invited to big league spring training. The Mariners have announced that 22 players not on their 40-man roster have received invitations to Major League spring training, which starts on Feb. 14 with pitchers and catchers reporting for physicals. Position players report on Feb. 19 for their physicals. The team’s first full-squad workout will be on Feb. 20 with Cactus League play opening on Feb. 23 against the Padres at Peoria Stadium. Of the group of 22 players invited, fifteen were members of the Mariners’ organization last season. 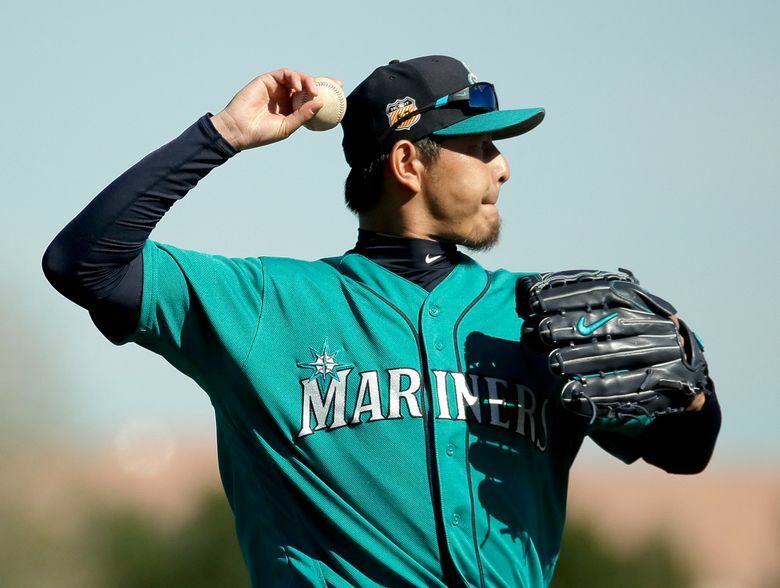 Veteran pitchers Hisashi Iwakuma, Christian Bergman and Casey Lawrence along with catcher Tuffy Gosewisch and infielder Gordon Beckham return to the organization on minor league contracts after appearing in big league games for the Mariners last season. Iwakuma is coming off of shoulder surgery and isn’t expected to be 100 percent when camp opens, while Bergman and Lawrence were re-signed for organizational pitching depth in Tacoma. Beckham was a September call-up as a utility infielder while Goswisch will serve as Tacoma catching depth with Michael Marjama and David Freitas competing for the back-up catching spot to Mike Zunino. Reliever Ryan Garton, who the Mariners acquired from the Rays late in the season and made handful of appearances, also received an invite. He was removed from the 40-man roster and outrighted to Tacoma in the offseason. Three other players that have been outrighted to the system after appearing on the 40-man roster at some point have also been invited: right-hander reliever Ryan Cook, outfielder Andrew Aplin and infielder Zach Vincej. Cook has been with the Mariners the last two seasons but dealt with injuries. He missed the 2017 season after having Tommy John surgery on Oct. 20, 2016. Aplin was acquired from the Astros last season for a player to be named later while Vincej was a waivers claim in the offseason. Seattle signed six other free agents to minor league contracts in the offseason with invitations to camp: Right-handed pitcher Johendi Jiminian, catcher Joe Odom, infielders Matt Hague and Rey Navarro and outfielders John Andreoli and Kirk Nieuwenhuis. Hague, 32, is a former Kentwood High standout, who played collegiately at Washington and then Oklahoma State. He is a minor league veteran with 43 games of big league experience. He’ll fill out a spot at Tacoma. Nieuwenhuis, 30, provides some outfield insurance in Tacoma and can fill in immediately if Guillermo Heredia, who underwent offseason shoulder surgery, isn’t fully recovered and ready to go by opening day. The veteran outfielder can play all three spots and has appeared in 414 games over six MLB seasons. The Mariners also invited seven prospects from their player development system: Outfielders Ian Miller and Braden Bishop, catcher Joe DeCarlo, infielder Jordan Cowan and right-handed pitchers Ljay Newsome, Art Warren and Matt Festa. Top prospect Kyle Lewis was not invited to camp. The Mariners want him to prepare for his minor league season at a normal rate and not push his troublesome knee too early. Miller, 25, was named the Ken Griffey Jr. Minor League Hitter of the Year for the Mariners this past season. He had a breakout 2017, hitting .307 (157 for 512) with a .355 on-base percentage, a .393 slugging percentage, 85 runs scored, 22 doubles, five triples, four home runs, 35 RBIs and 43 stolen bases in 124 games combined between Arkansas and Tacoma. The best baserunner in the system, he led the Mariners’ minor league system with 43 stolen bases. Newsome, 21, picked up another new award handed out in the Mariners’ player development system — “The 60-foot, 6-inch Club,” which honors “the best pitcher in the Mariners’ organization that embodied the Control the Zone philosophy, dominating 0-0 and 1-1 counts and the ability to get back in the count when behind.” Newsome, 20, made 25 starts with Clinton in his first full season in the minor leagues, going 8-9 with a 4.10 ERA. He struck out 111 batters and walked just 16 in 129 2/3 innings pitched. Neither Warren nor Festa received organizational honors, but they represent two of the better relief prospects in the system. They rank No. 15 and No. 16 respectively in the Mariners’ Top 30 prospects per MLB Pipeline. A former starter converted to reliever, Warren, 24, was 3-1 with three saves and a 3.06 ERA in the Arizona Fall League. He flashed a fastball touching 97 mph. Festa, 24, has also moved from starting to a relief role, finding some success. His velocity on his fastball is a few ticks slower than Warren. Bishop, 24, had a breakout 2017 season after putting in work on his swing last offseason. The UW standout was always considered an elite defensive outfielder, but he’s improved his offensive game enough to be considered the Mariners’ No. 4 overall prospect per MLB Pipeline. He hit .306 last season and the Mariners believe his offensive improvement will only continue. DeCarlo, a former second round pick, is a third baseman that was converted to a catcher last spring.